Having a pied-à-terre in the city or living downtown both provide advantages. However, unless you have deep pockets, that can mean settling for a smaller living space. A small space doesn’t mean that you should have an overcrowded space. 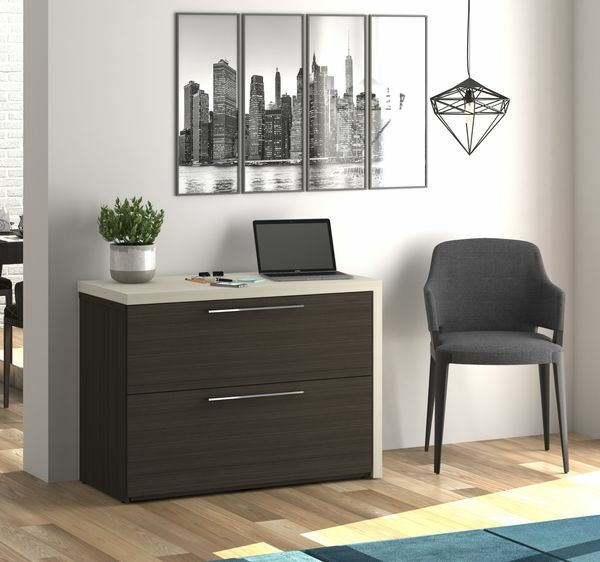 It’s now possible to find stylish furniture made for small spaces that allows you to have an elegant and functional apartment—despite its small size. 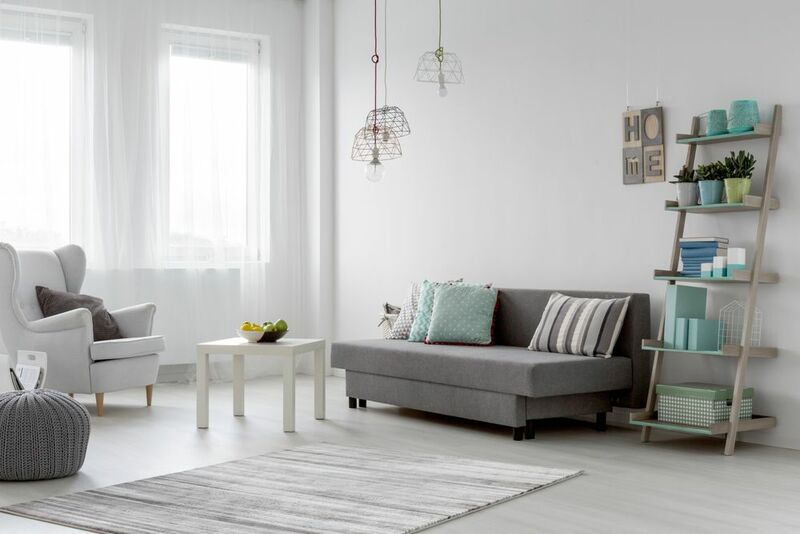 You will find 6 multifunctional furniture pieces for small spaces listed below for the living room, dining room, or bedroom. You can create a small workspace with this sliding desk that, when you aren’t using it, can be used as a console table. This desk can be made smaller when not being used. The tabletop slides over the filing cabinet, which brings the size down from 190 centimetres (75.5”) to 104 centimetres (41”). Once you are finished working, you can just slide the tabletop over the cabinet, reducing about half the space taken up by the desk. 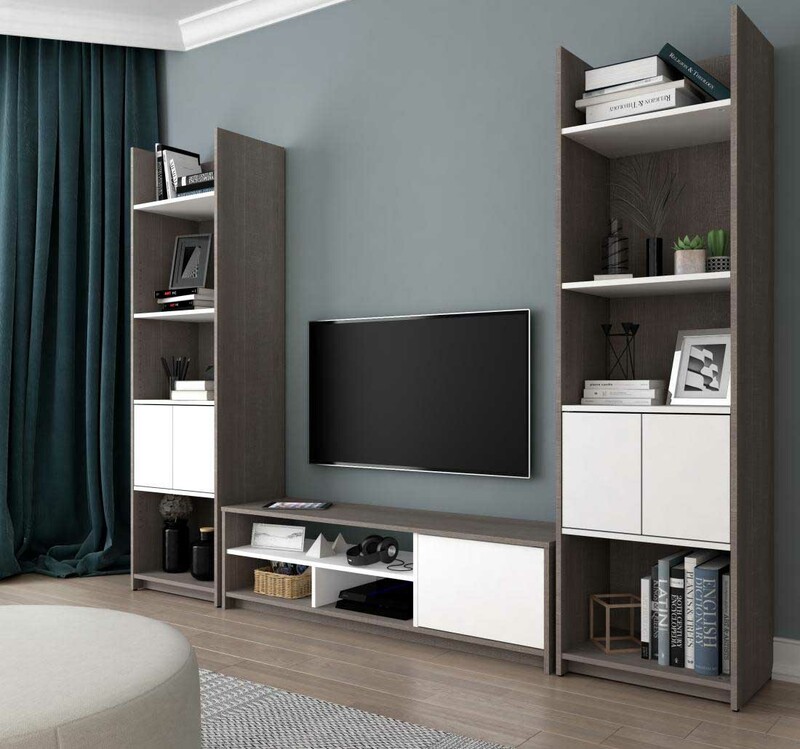 This wall unit is perfect for storing laptops, tablets, chargers, and other items in your living room, while also using it as a television stand. You can also use this unit to display your art objects and books. 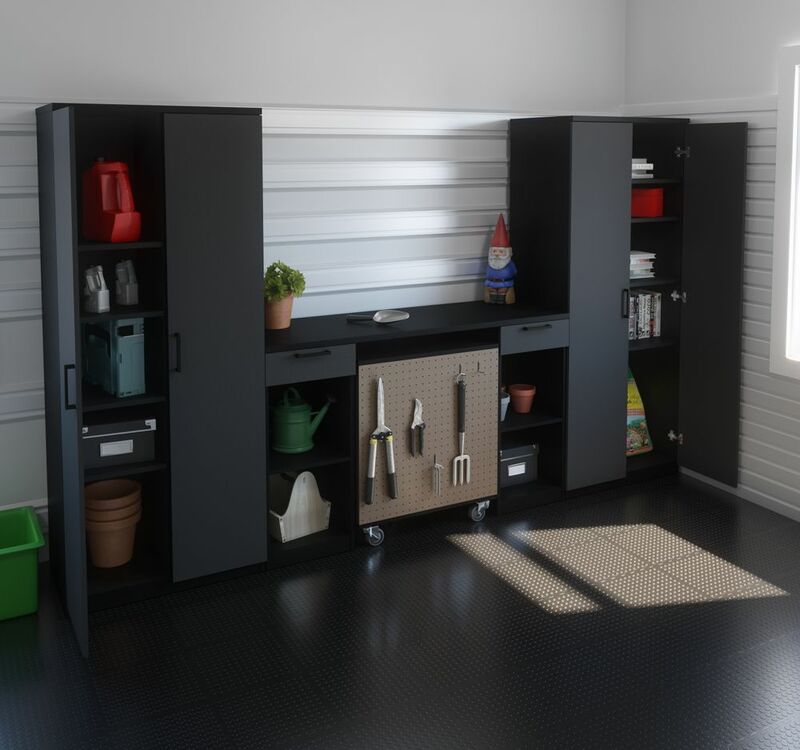 This storage unit gives you the ability to use height to your advantage and can be assembled to your liking due to its modular design. You can even add shelves depending on the space you have. Why not take advantage of a coffee table that can be used to store your things easily in the living room? Once the top section is lifted, you can eat or work at the table, while sitting comfortably on your couch. 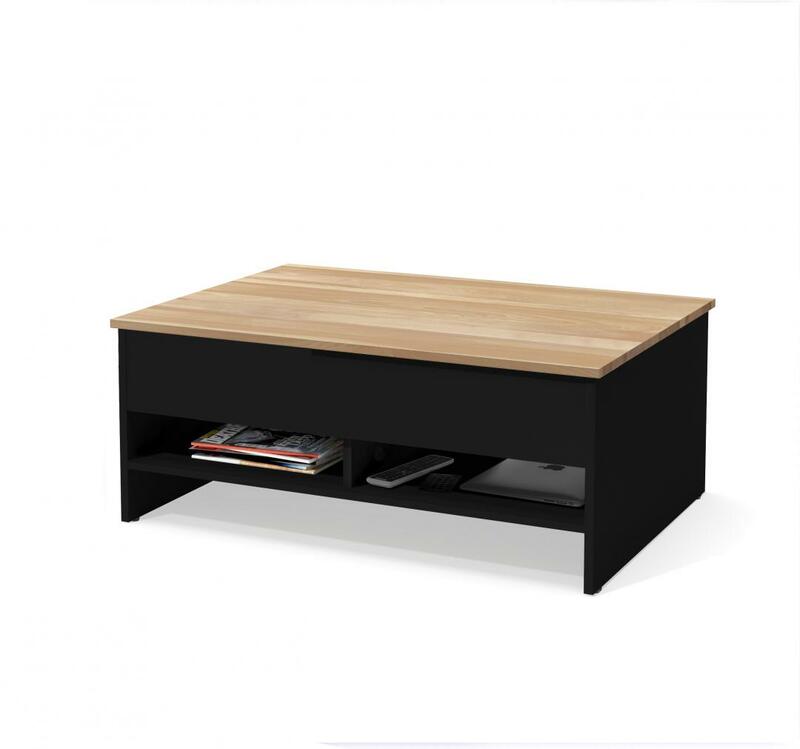 This coffee table is an excellent example of multifunctional furniture because it can be used as a storage unit, a coffee table or a work table. 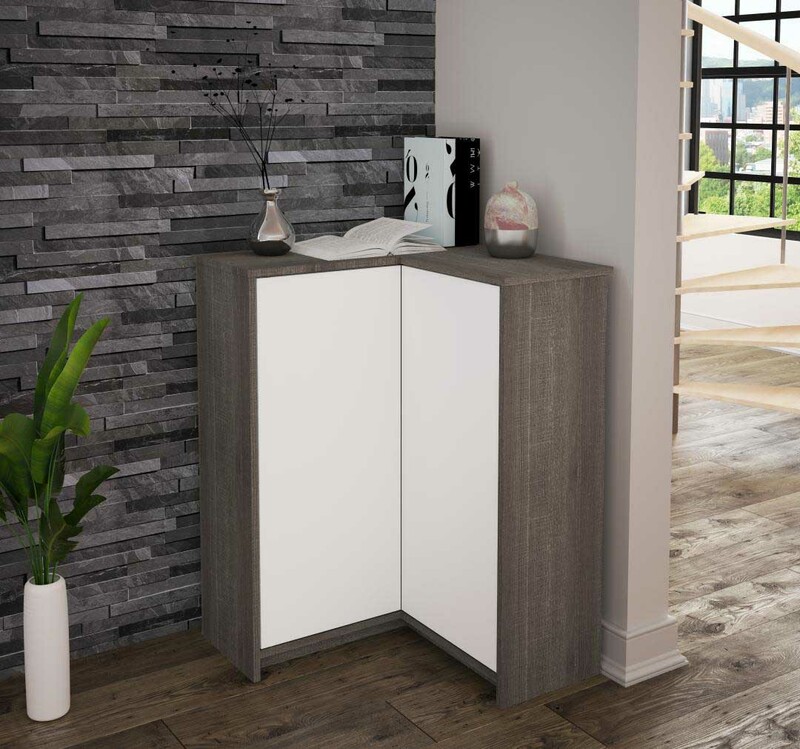 These storage units can be placed in corners facing inwards or outwards, which considerably reduces lost space in the living room, dining room, or other spaces. 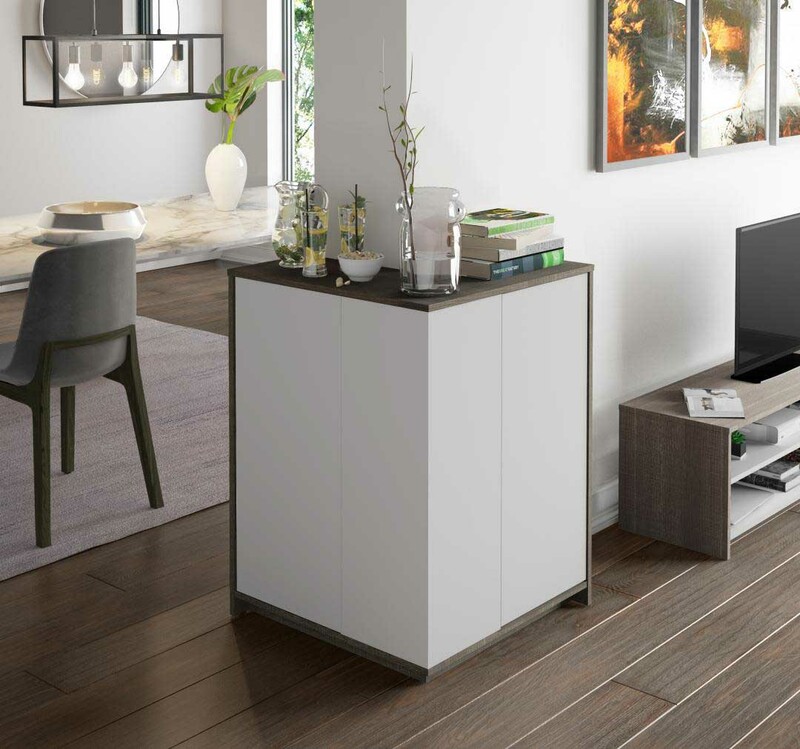 Depending on your needs, with the outer or inner corner unit, you can store various objects, such as dishes, linens, or electronic accessories. These corner units can even be placed in the hallway. After coming home, you can leave your keys or sun glasses on the top of the unit, and you can put bags or accessories inside it. Whether it’s in the bedroom or hallway, closet organizers put every square centimetre of your space to good use. 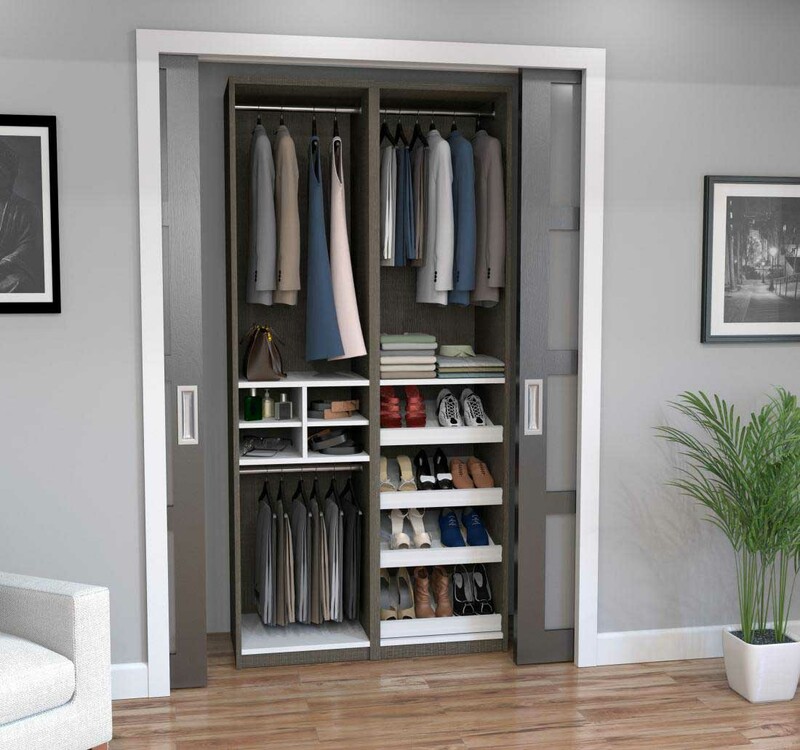 This closet organizer gives you the possibility to transform a closet into a practical storage space. Closet organizers make the most out of your closet space by offering practical combinations of adjustable shelves, drawers, and closet rods. These organizers will help sort out your clothes, shoes, and jewellery. A wall bed, also known as a murphy bed, can be folded away into closed space on the wall when it isn’t being used. This wall bed can be used both to sleep and to display your decorative items. When not being used, the wall bed can be folded upright against the wall, which can free up some space for other activities. You can transform your office or living room into a guest room with a wall bed. 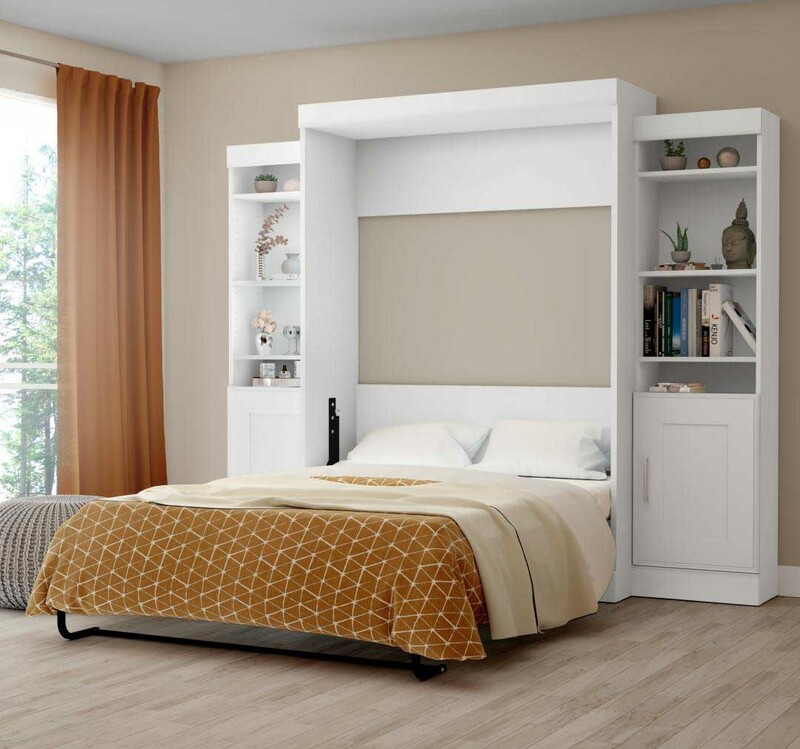 The wall bed also helps add space with its versatile design because storage units can be added to it. You can even combine the bed with a bookcase or storage unit. These 6 multifunctional furniture pieces can help make your small space as functional as a large space.